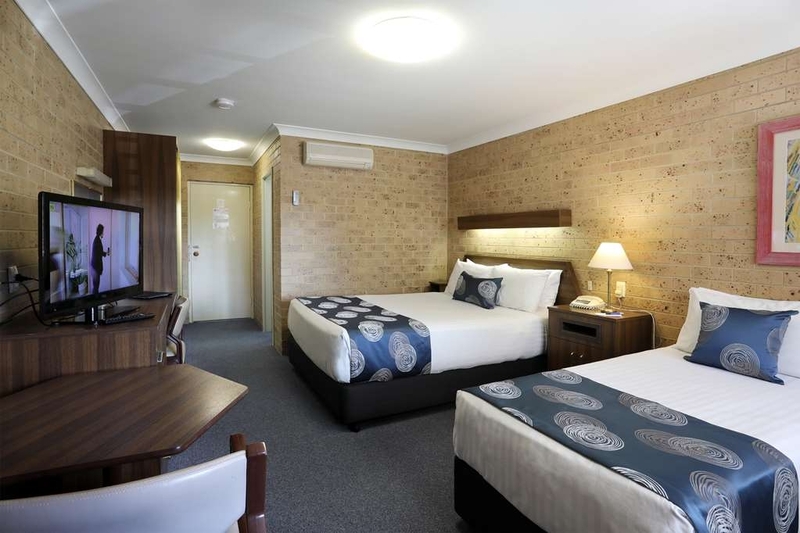 El Best Western Tamworth Motor Inn se encuentra en el centro de Tamworth. Venga y disfrute de las mejores atracciónes turísticas cerca de nuestro hotel. Precios bajos garantizados y ofertas exclusivas. El Best Western Tamworth Motor Inn tiene el orgullo de ofrecer a sus huéspedes una impoluta, cómoda y cordial estancia en el extremo sur de Tamworth. Nuestras amplias habitaciones situadas en planta baja cuentan con una completa gama de instalaciones y servicios que le permitirán disfrutar de una apacible y productiva estancia. Gracias al diseño de nuestro edificio, ninguna habitación está orientada a la carretera, lo que se traduce en el menor ruido por tráfico posible en nuestras habitaciones. Todas las habitaciones cuentan con una amplia plaza de estacionamiento situada junto a la habitación, distintas configuraciones de camas según el número de huéspedes con camas de matrimonio grandes o habitaciones familiares, canales Foxtel y acceso gratuito a Internet Wi-Fi. A petición de las interesadas, las mujeres que viajen solas podrán disfrutar de habitaciones situadas junto a recepción y obtendrán un paquete especial de productos de tocador a su llegada. Nuestro hotel cuenta también con una habitación para huéspedes con limitaciones físicas con baño con instalaciones especiales y rampa de acceso para silla de ruedas desde las plazas de estacionamiento con ancho adicional. Con un amplio espacio de estacionamiento, este hotel ofrece plazas para vehículos de gran tamaño como autobuses, remolques para caballos y camiones. Consulte la disponibilidad de tales plazas antes de su llegada. Nuestros huéspedes podrán visitar el popular Restaurante Traders, con licencia para servir bebidas alcohólicas y situado en las instalaciones del hotel. Abierto por las tardes para cenas de lunes a jueves y para desayunos cada mañana, nuestro hotel también ofrece servicio de habitaciones durante el horario de apertura del restaurante. El hotel cuenta también con una pequeña zona para celebración de eventos con su propio bar, algo idóneo para celebrar eventos y reuniones, una piscina al aire libre y zona de barbacoas para uso de los huéspedes. El hotel Best Western Tamworth Motor Inn ofrece fácil acceso al Centro Ecuestre, el recinto Sports Dome, el centro de entretenimiento regional de Tamworth y el campo de golf Longyard, ubicados en el extremo sur de la ciudad. Los entusiastas de la música country podrán disfrutar también de la proximidad a atracciones como el Museo de la Fundación Australiana de Música Country y el Radio Center. 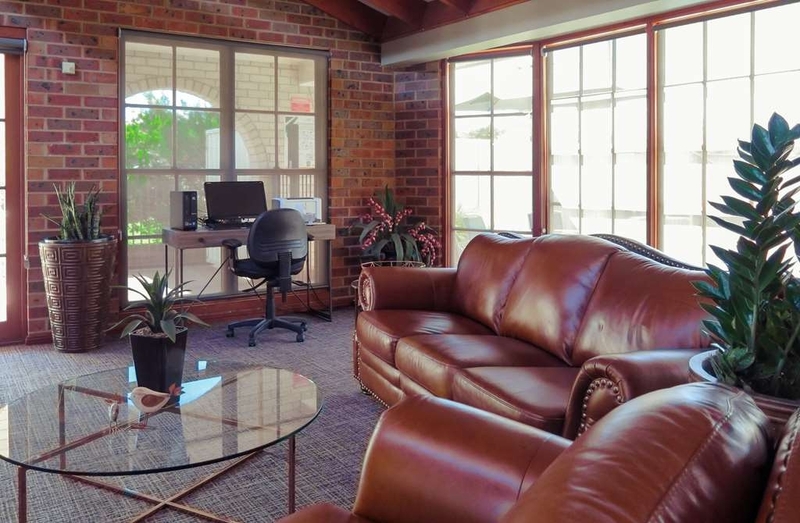 Si desea disfrutar de un cordial servicio de atención al cliente, unas cómodas e impolutas habitaciones y una céntrica ubicación en Tamworth, haga su reserva hoy mismo en el Best Western Tamworth Motor Inn. Esperamos darle la bienvenida a nuestro hotel. "It was getting late and we had to find somewhere to stay." We walked in and booked a room. The lady at reception was very efficient and helpful and upgraded our room. We felt the room was average. At one side of the bed the door lent towards the bed and so to get to the bathroom one had to push the door almost closed to go to the bathroom. We had room service for dinner. Our continental breakfast was reasonable. Old room, over priced, when checking out informed staff of cockroach problem, no apology just reminded I was only in a standard room, good breakfast, but rooms needs major maintenance, air con noisy and dirty. Damaged furniture with sharp edges. Front door difficult to close. Cistern jamming noisy. "Good place to stay if you're not close to the road"
Excellent restaurant in house and very close to everything. Rooms could do with a freshen up, showers a bit mouldy and outside needs a paint. Staff friendly and we loved Tamworth and its Trip Advisor recommended places. Im sorry you were unhappy. Wish you could have spoken to us before you checked out. We appreciated the staff, cleanliness and hospitality afforded us at this motel. 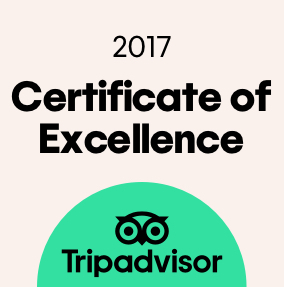 Informative and helpful, we really enjoyed our short stay and had an excellent nights sleep in a well appointed apartment. 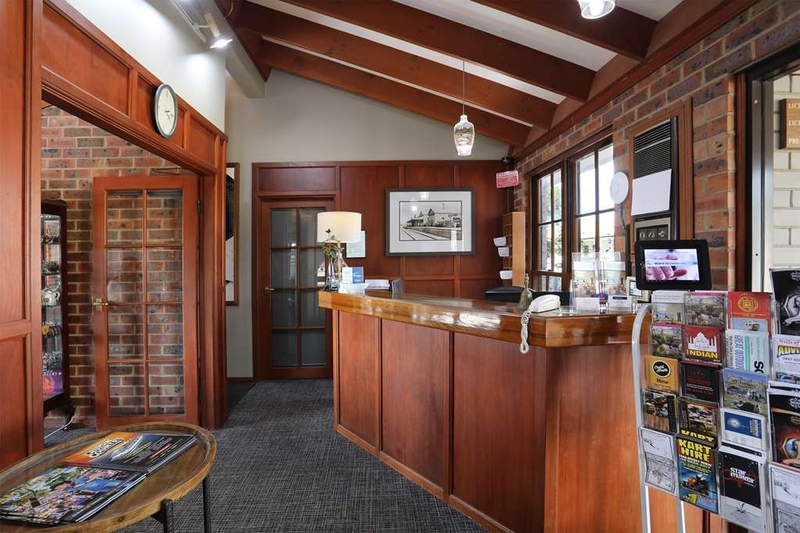 Very well presented motel, reception area very welcoming and the staff are great. The rooms are a very good size with plenty of space to do work if you need to, bed very comfortable the decor is wonderful. Have been visiting this motel since 2016. Never been disappointed. Rooms are Clean, spacious and comfortable. Staff are friendly and efficient. They contribute to the experience. Restaurant is a bonus. No trouble recommending. Many thanks for your fantastic review and also your continued support. The first thing that strikes you is how neat, tidy and clean everything is as you drive in, especially the very well kept gardens. Next, you notice the nice tale and chairs outside every room so you can enjoy a drink or a snack without being confined to the room. The room was exceptionally clean and the bathroom immaculate - shiny clean. Anne was a lovely host, she made you feel like a friend visiting, not just a customer passing through. She even cut some of her flowers for my wife after she comments how lovely they were! Hi Colin, Thank you for the wonderful review. We always hope our guests enjoy their stay when they visit us and we enjoy getting to know them. Lovely to meet you both. The level of service is second to none. Friendly prompt and efficient check in. Rooms are very well appointed with all the facilities for a comfortable stay. Location is very good, minimal road noise. Thank you Shaun for your lovely review. We always enjoy hosting you. "Would have been excellent, but pool wasn't open"
Good sized room, with ability to get to dinning room without going outside. Wifi a little slow, but manageable for emails. However, the pool wasn't open, but this information wasn't available on their website prior to booking. Dear James, Thank you for your positive review for most aspects . We apologise for the pool not being available for your stay. The pool is to be fully replaced with new paving and planting, which we thought would only take a few weeks, during the winter months, to complete . We are very excited about this but approval has been slow and work is still being staggered, which is quite frustrating. I was hoping this inconvenience would be short term and I must confess I do not know how to amend all the different booking sites for minimum periods and was hoping all work would have been completed before the weather warmed up. Please accept my apology. "good motel without the price"
The motel is situated on the main road out of town (Ganoo Ganoo) and has a very good restaurant. The rooms are a very good size with mini bar fully stocked. Room service is available. The best part is direct access to your room from the car park as well as an internal corridor in case of bad weather that you can access the restaurant bar and front office. Nice staff and clean rooms with good beds. Internet is free and good. Many thanks for your great review. Hopefully we will see you again sometime. 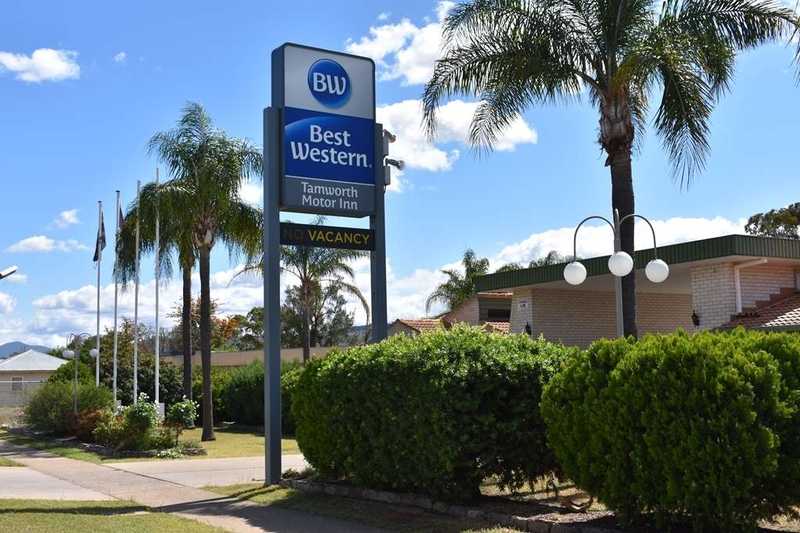 Whilst it was only an over night stay, my stay at Best Western Tamworth was great. Quite rooms , clean and comfortable. Fabulous food in the restaurant and breakfast was delivered hot and fresh. Great location to eliminate most road noise whilst not being out of the way. Motel of choice. On our travel from Brisbane we stay here a few nights a year. Staff are always friendly, rooms comfortable and a good bed. Restaurant operates week nights with good offering. Good value stay. I've been staying at this motel every month for work for nearly two years. 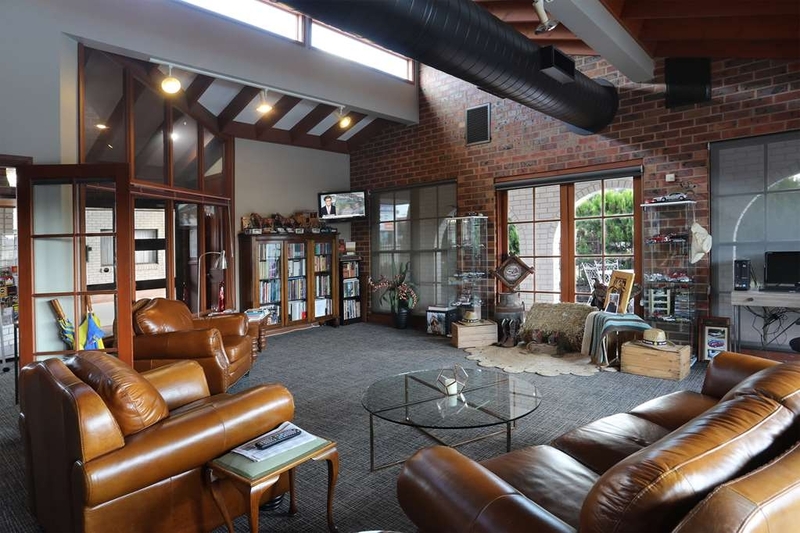 Their rooms rival expensive (often pokey) sydney hotels for comfort. They are huge rooms, wonderful soft beds, lounges in all of them and a table. The price is excellent. Anne is amazing. I just keep coming back. They are my home away from home. Thank you so much. We all work very hard at what we have here and your review has made my day! "Tidy and clean, friendly and communicative staff." 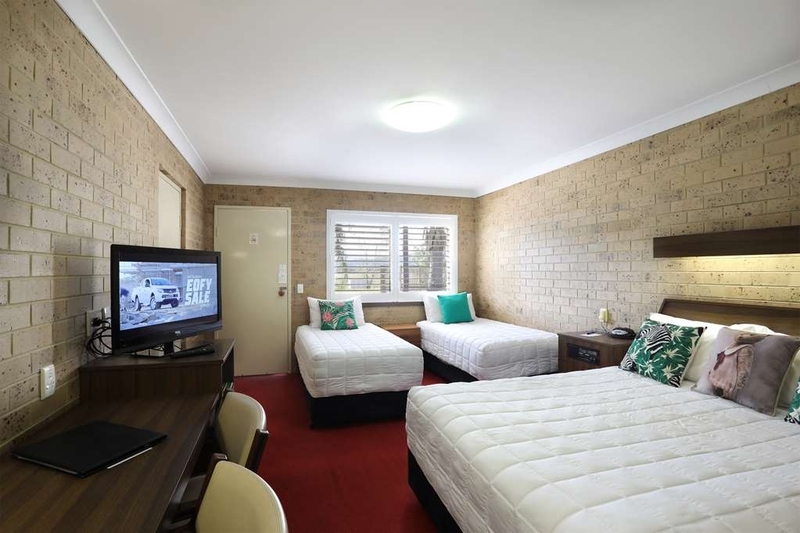 The units of this motel are not super flash, nor as soundproof as I'd like, but it is clean, tidy and has an energetic balance to the place that it quiet and unassuming. Staff are friendly and helpful and they were very accommodating for a late check in. If we're in Tamworth again we'll stay again. I was pleasantly surprised. 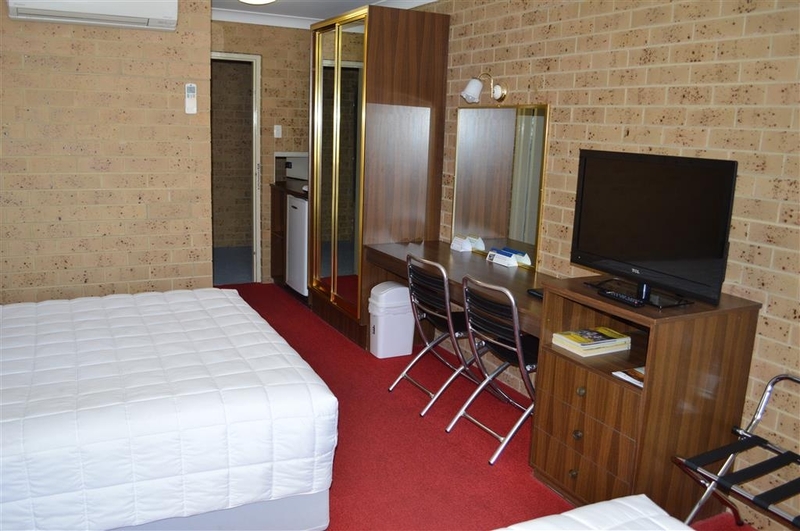 I wasn't sure the motel would be as quiet as other reviews had suggested, because of its position on the main road and the rear door and corridor next to the room. However, the room was clean, very quiet and I slept well. It's nothing special but it definitely does the job for an overnight. Would go back. Thank you Marky for your review. We never aspire to being a luxury Motel, but promote the tag of a good, middle of the road, clean, comfortable and friendly establishment, which we strive to maintain. We look forward to hosting you again. Have stayed here a few times and no complaints. This is our motel of choice in Tamworth. Staff and owners are friendly and helpful. Rooms are clean, comfortable and spacious. Restaurant on site with cheap options. Many thanks for your post Geoff. "The staff make this place"
Many thanks for your comments Julian. 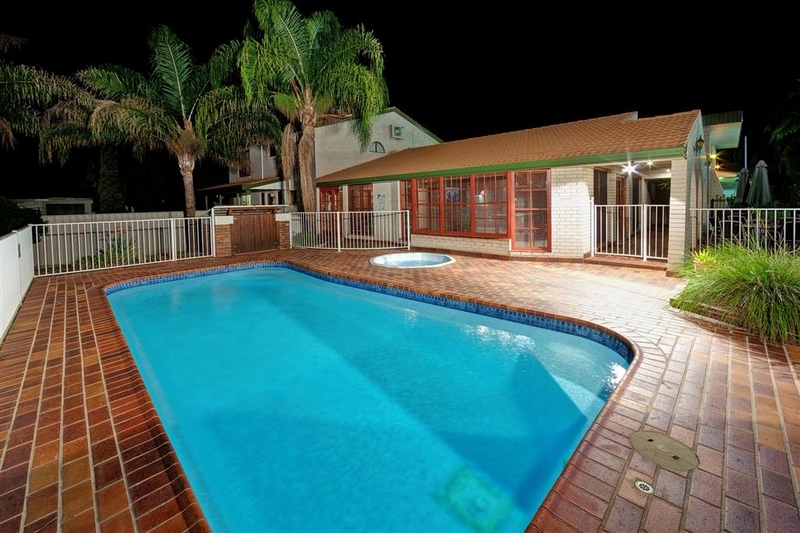 We are fairly new to this Motel and enjoy welcoming guests. 5 Star gem out in the country. Big modern rooms. Very clean and well laid out. Fridge is well stocked with alcohol soft drinks and snacks. Staff are friendly and there's also a great reasonably priced restaurant. Would definitely stay here again ???? This hotel has some very lovely staff. Not the most comfortable hotel as it is very dated. However it was good value for money and the as I said before, the customer service is very good. I found the location easy to get in and out of town without a problem as well. Cold night noisy air conditioning took along time to heat, mattress was below standard, bathroom.was cold as exhaust fan came on automatically. Greeting from reception staff not the most welcoming. Would not return. Stayed he for a family thing, room was a bit on the small side for 3. But still nice, bed was comfortable continental breakfast was included, but upgraded for $10. We stayed behind the restaurant and the verandah was loud when people walked to rooms, would try to get rooms without the wood verandah. Owners or manager very nice. Always use this motel on our trips. Great service. Clean and spacious rooms. Quiet and comfortable. Good little restaurant with a reasonable priced selection as well as dearer items. Other restaurants available. 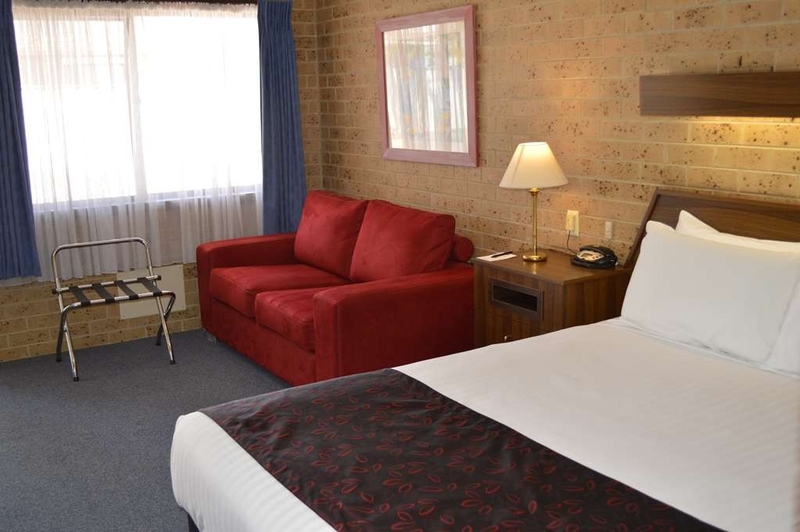 Looking for a place to rest for the night in Tamworth, try Best Western Tamworth Motor Inn. 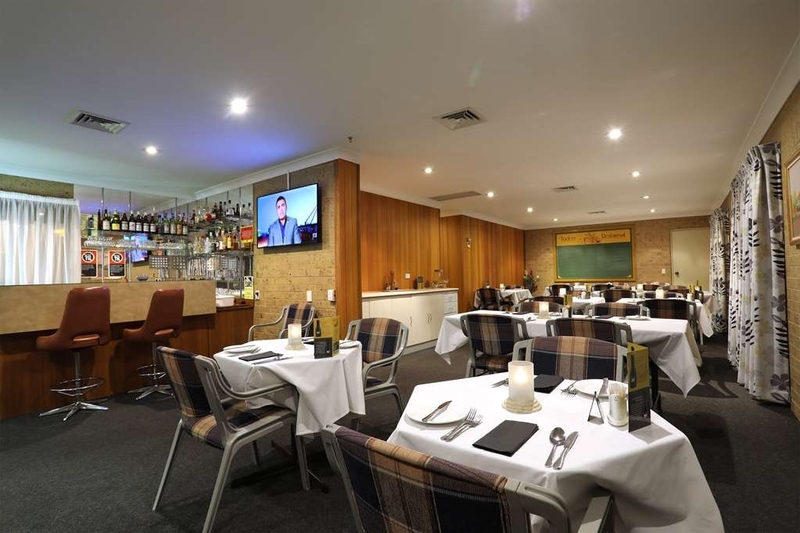 We were travelling to Albury with a group of 18 and we were all well accommodated for here and for a small extra cost, breakfast and dinner are provided in their restaurant. Stayed overnight thanks to a cancelled VA flight. As I had planned to be back in Melbourne I had not brought enough medication (that I must have). But my heartfelt thanks to Adrian the owner who, on a Friday night, took me to a chemist who - it turns out - didn't have the medication I needed but luckily their sister store did. So off we go across town and hey presto! Medication in hand! Where else do you get that kind of service? And to top it off the motel is clean, comfy and the staff awesome! I've stayed in many places but have never been treated so kindly as here! First time stay at this motel. Due to heavy bookings we were allocated one of the last available rooms, a family room which was very comfortable & quite spacious for our needs. Standard of cleaning was first class. The property rather uniquely has a central internal corridor running between the two ground floor rows of rooms (along the style of a hotel) & leading to the restaurant - fantastic for cold rainy nights. The service in the restaurant & reception was exceptional & the restaurant meals are reasonably priced & well presented. I booked many rooms for guests atending my mothers funeral.The owners of this hotel were very helpfu and could not be any more accomadating. Would recommend this motel to anybody.They arranged for us to privatley use their resturant. Lovely motel, very friendly staff, a nice place to stay. The food at the resteraunt was great, very close to all amenities. I would recommend this place to the budget conscious traveler, just comfy in all ways.. 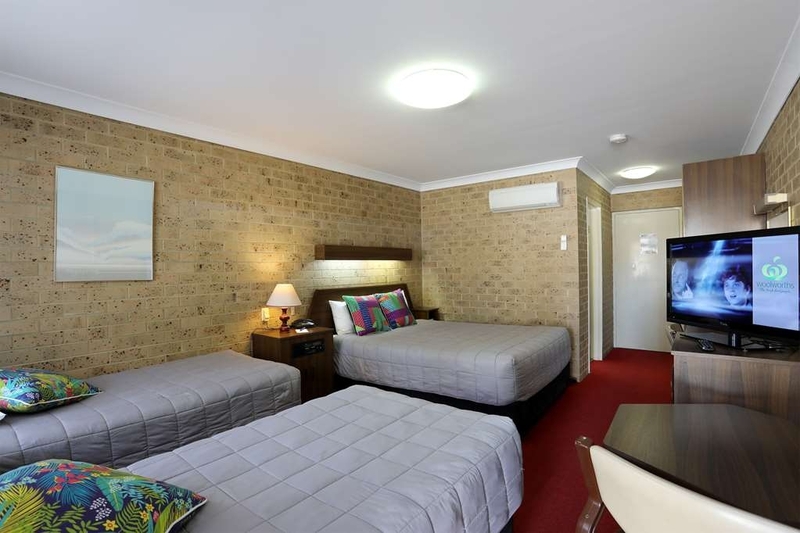 There are lot of motels to pick in Tamworth and I'm glad I chose this one. The room was large and immaculate, mini bar and tea and coffee were well stocked and everything worked perfectly. Great breakfast. "Great value, Great service, Great big king size comfy bed..."
For one of the best beds i'v slept in this is the place. Anne was very helpful. We cooked dinner on the bbq and she afforded us BBQ tools, plates salt and pepper the lot. After a hard day's work we just wanted home cooked food. Rooms are clean and roomy. The pool was clean. Nice view of the hills form the back of the Motel. 3rd time staying here and always a pleasure. Rooms are comfortable and clean. Always a pleasant welcome and made to feel welcome. Room service dinner was great as always together with breakfast. Overall a nice stay at a reasonable rate. My partner and I stayed here for one night. Check-in was very smooth and overall our stay was comfortable. The only drawback was the strong smell of steak in our room upon arrival. I think the restaurant is just down the hall. We were able to air out the room by leaving the door to the outside open before going to bed. Ann was so helpful with a special request I made and went above and beyond to organise it on my behalf. The premises are comfortable, clean and the staff so helpful. I would recommend this Best Western. The worst bed Iv ever slept in. After trying to survive hot weather at the ALEC we thought let's have some recovery time in a/c comfort. The bed was just atrocious with two very thin waspy pillows . Should of stayed in our swags on the ground. For $134 odd dollars we spent I definitely expected better. This motor inn is good value for money. It's a bit dated and the internet was slow but there are new owners and they are slowly changing things. We had two queen sized beds in our room and they were extremely comfortable. The restaurant had a good selection of food and wine. "An otherwise good stay marred by the attitude of manager on checkout"
The room itself was fine. It was generally clean & well appointed. We liked the dispensers for toiletries. Beds comfy but towels a little worn & scratchy. Check out of 10 really is 10, we had housekeeping knocking at 5 minutes past which we thought a little odd. Breakfast was good but very expensive for a motel ($4 for a glass of juice??) but the lady serving was absolutely lovely. It was disappointing that after we checked out our credit card was charged for a drink from the mini bar we didn't have (not one we would ever drink!). Ridiculous really as we'd paid for all the items we did have why on earth would we lie about one more? Obviously there was a miscount or it wasn't replaced after the guests before us. For that reason alone we won't be back to this establishment. 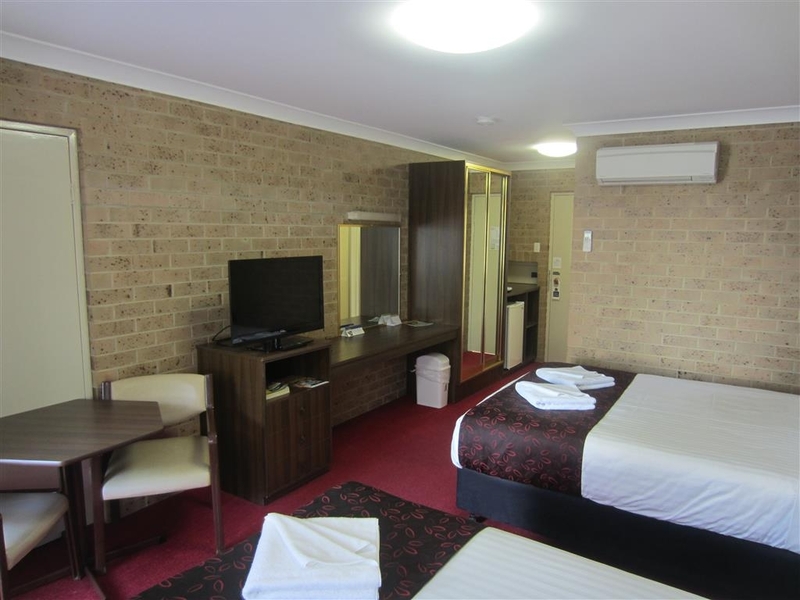 Two day business trip staying at this small hotel on the Highway on the way into Tamworth. Very friendly, helpful staff, large rooms and comfortable beds. Had a room down the back so despite the hotel been on the highway, it was quiet. Large parking spaces are also appreciated. Did not like the soap and shampoo dispensers in the bathroom which, to be fair, is becoming quite common in hotels these days. The shower gel dispenser emptied on my first night and was not refilled either. The restaurant was a bit overpriced for what I would describe as run of the mill pub food. TV reception was a bit patchy but there was free WIFI (just under 1mbps). Overall a reasonable hotel let down by the restaurant and a couple of the amenities. Booked in for one night here whilst visiting Tamworth. Got a very good deal in terms of price with the room being large and immaculate in terms of cleanliness. Wi fi was complimentary. We were located at the back of the premises and were not disturbed at all by noise either from other guests or the busy road at the front of the motel. Really nice people and the rooms and pretty good. Management is really helpful. Reasonably quiet given that it's on a busy road, and the walk into town is a bit of a stroll but a pleasant one through some parkland. If you go out the back door you can walk along a river for part of the way as well. "Lots of room for parking...horse floats or caravans"
"Week Stay to visit family." 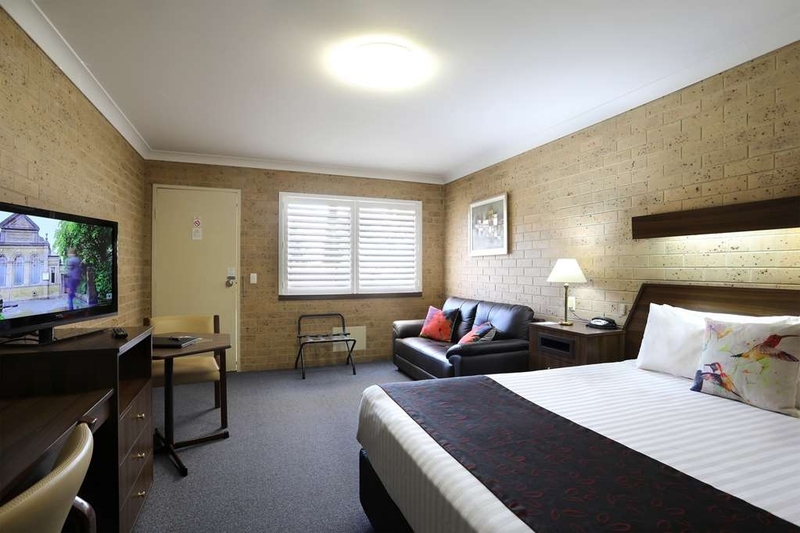 Fantastic Motel, very clean and tidy appearance , comfortable clean and rooms, mini bar, tea and coffee facilities, also has onsite Restaurant and Bar weekdays. 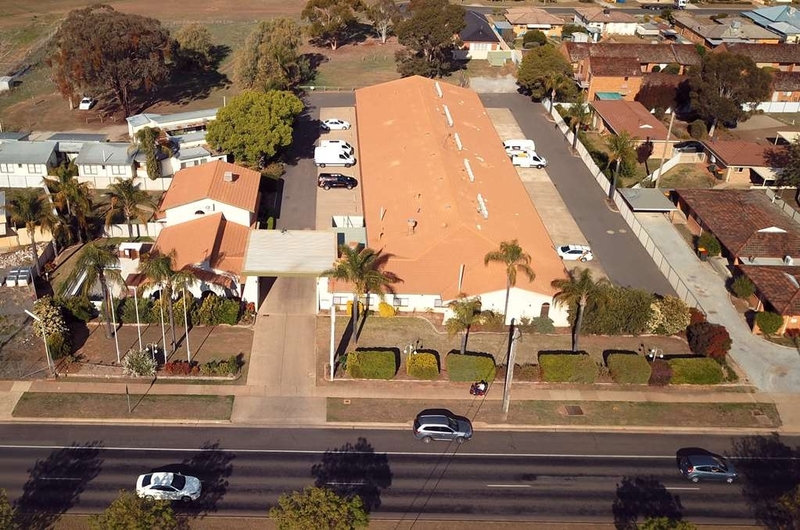 Close to South Tamworth Bowling club with nice Meals available and only a short easy drive to the heart of Tamworth. The staff were friendly and helpful nothing was too much trouble. 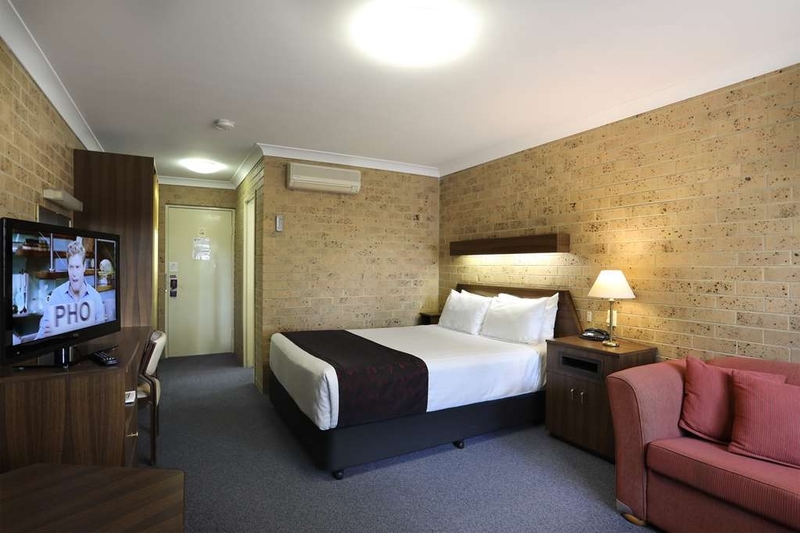 I highly recommend this Motel and will stay here again when in Tamworth. Asked for the disability room and provided without problem. Check in very friendly. Asked for a shower chair and provided with a smile. Rooms clean tidy and plenty of space. No problem in saying I would stay again. Dinner at the restaurant. Staff friendly and efficient. The whole place makes you think nothing would be a problem. Food was hot, tasty and portions good. "We have tried many in Tamworth." We have had cause to stay in Tamworth many, many times. This motel rates up there with the top ones. While not flash, it is well maintained and has accessible parking. The restaurant was very easy to access also. The room could have better lighting for reading at night. We were able to walk directly to the restaurant via a passage that services the rear of all rooms. A great idea for cool nights. Wifi slowish. Have stayed here a few times on our travels. The rooms are always clean and tidy. The restaurant meals are of a very high standard - which is one of the main reasons we choose to stay here when in Tamworth. The staff are friendly and attentive. Stayed here for 2 nights in May for a business trip to the area. This place ticks all the boxes, it's clean, friendly staff, quiet and the restaurant has good meals that are great value. I would stay here again if in the area. "Home when on monster road trip"
"One of the best motels I've ever stayed"
Stayed one night during the Easter break at this Best Western. Very friendly and helpful manager at the reception, he kindly gave us quiet rooms near the back, away from the main road. The room had decent size and plenty space and desks for us to put out our stuff. The bed and the pillow are comfortable and the bathroom is clean and easy to use as well. Another good thing about the bedding: it has the thin blanket for the warm weather, instead of using the thick quilt all year around like some other hotels. Each room has air-con which is really good for the hot weather. As a motel, it even has a mini bar and biscuits for the guest. We are also happy with the Wifi speed. I would love to stay there again next time at Tamworth. 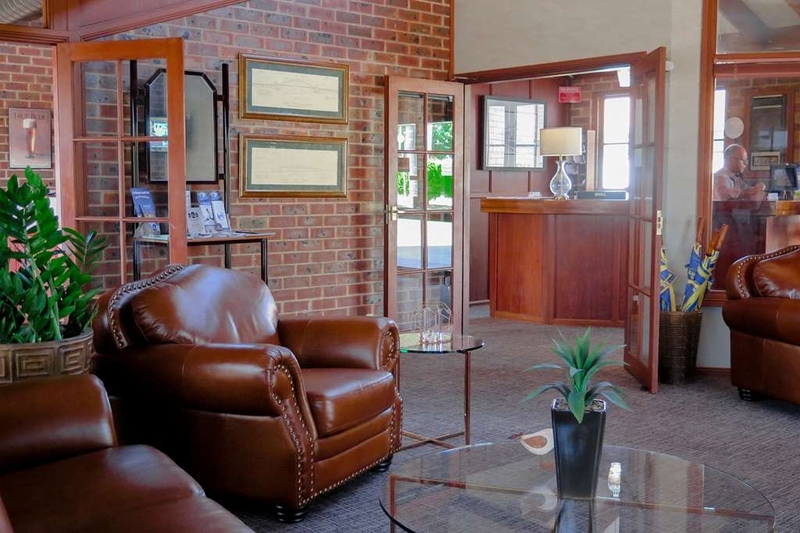 "Quiet, welcoming and accommodating "
Stayed for two nights for a business trip. It's well priced, the managers and staff are welcoming and accommodating. It's not the flashiest place but rooms are spacious, clean, well priced and very quiet. The hotel is well situated. Worth staying here. The Room is Modern, Spacious & SPOTLESS. I was there just this Friday to Sunday past for a sporting tournament and made good use of the Pool, Spa, Guest Laundry and WiFi. Peter went out of his way to make me feel welcome. Even though this hotel is right on the main road there was no traffic noise and I slept extremely well. Restaurant was not open during our stay so I cannot comment on it. Would stay here again. "A great comfortable stay with friendly service"
I recently started staying here while traveling on the road for work. It is a great motel that offers all I need: Friendly service - you don't feel like you are just a number. You are made to feel welcomed. Clean, well presented rooms, that offer a great nights sleep. Rooms are spacious and very quiet. Good quality and value for money meals. Both dinner and breakfast were lovely. The oysters were some of the biggest I have every had. 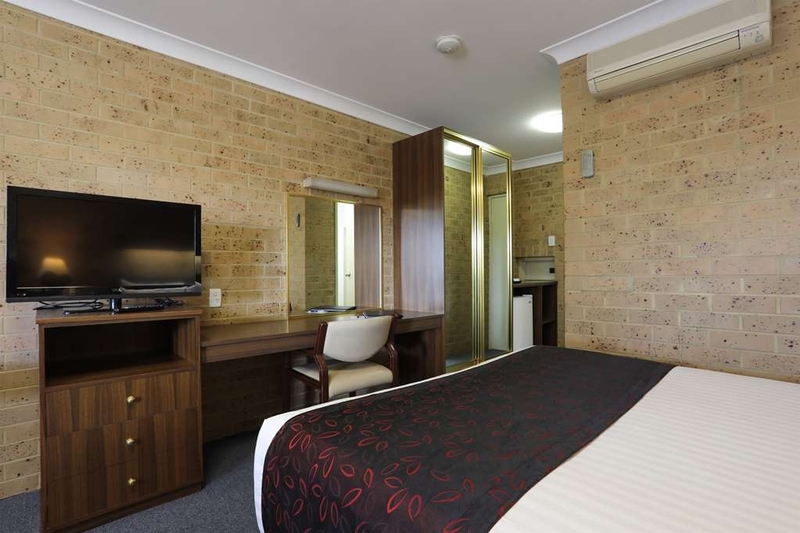 When staying in TAMWORTH I can highly recommend the Best Western Tamworth Motor Inn. A fabulous 3.5 star establishment! Very clean and well maintained As soon as you walk into reception you are greeted by the very friendly and professional smiling Proprietor, Peter McHugh who immediately makes you feel comfortable and at home. 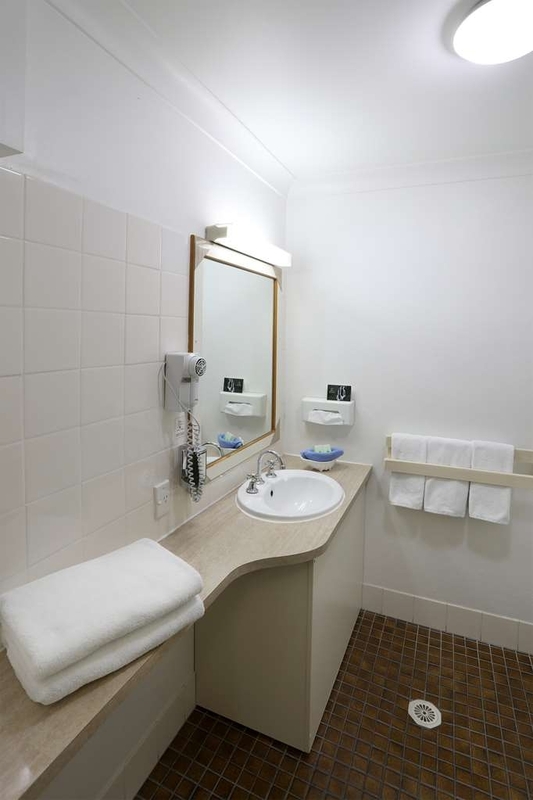 The rooms are very comfortable and practical in their layout and appointments and impeccably clean. There are lovely views to the east and traffic noise is non existent. The showers are excellent with great water pressure! The pool and spa are sparkling blue and inviting The restaurant and bar make it unnecessary to drive and have a relaxing ambience. A lovely place to stay! This motel would have scored a bit higher on the ratings if I hadn't had to face the giant cockroach that crawled out from under my bed on waking. 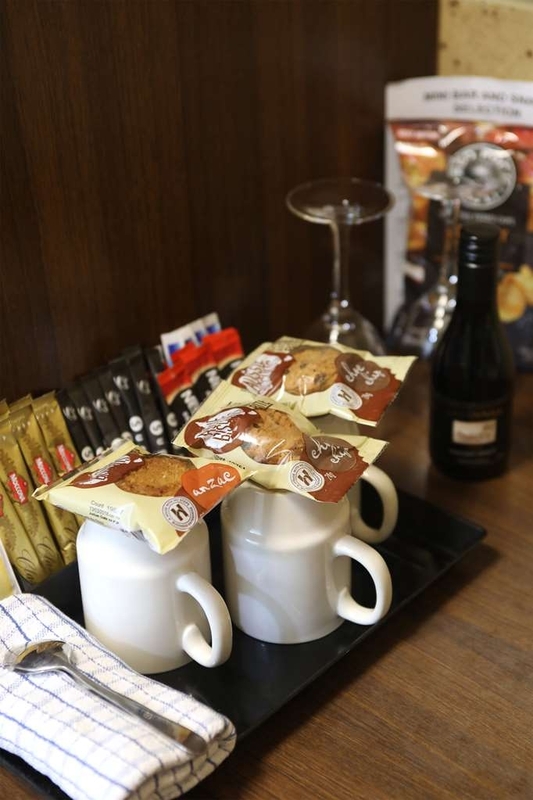 The beds are comfy, there are coffee and tea making facilities and a mini bar that is well stocked. Nice pool area for those sweltering days. Last minute booking. We were all tired after a long road trip. Despite being on the main road, the hotel room was quiet. Staff friendly and accommodating. Parking for buses and trailers. Will be our default accommodation in Tamworth from now on. Clean and well maintained. Has a good restaurant. Had a great steak for dinner but avocado for breakfast was a bit hard. Good spot for an overnight while passing through. Has a bar also. Continental breakfast $15 is good value Rooms a bit small but pretty good for class of accomodation. Bathroom was renovated and had good water pressure. Had a single bed and a double bed. I didn't find this place as great as the last reviewers, however in saying that, it was a sufficient place to stay for my needs. Definitely a 3-star accommodation. The room was clean and had all the basics, however could be improved by getting new pillows (they were shocking). Staff were friendly. I only stayed one night but was extremely happy with my accommodation. The room & bathroom were spotless. All furniture, carpets & fittings in such excellent order that I thought my room must have been recently refurbished. Not so apparently, just well maintained. There's a nice small dining room in which to have dinner & breakfast. I paid $14 for juice, cereal, toast, jam & tea which I thought was reasonable. A big welcome from the owner & on departure there's a spacious lounge where you can sit & relax if your waiting for a pick up. Internet available. Morning papers in the breakfast room. As others have mentioned, there's an internal hallway by which you can reach the public rooms without braving the elements. Yes, it's furnishings are a little old fashioned, but comfortable & relaxing. The queen bed was a shade firm for me but that's a personal preference. A small pool which I didn't try. Otherwise all the fittings you would expect, flat screen TV, mini bar, alarm, aircon. etc. Oh, & hot water that's really hot & strong. Recommended. 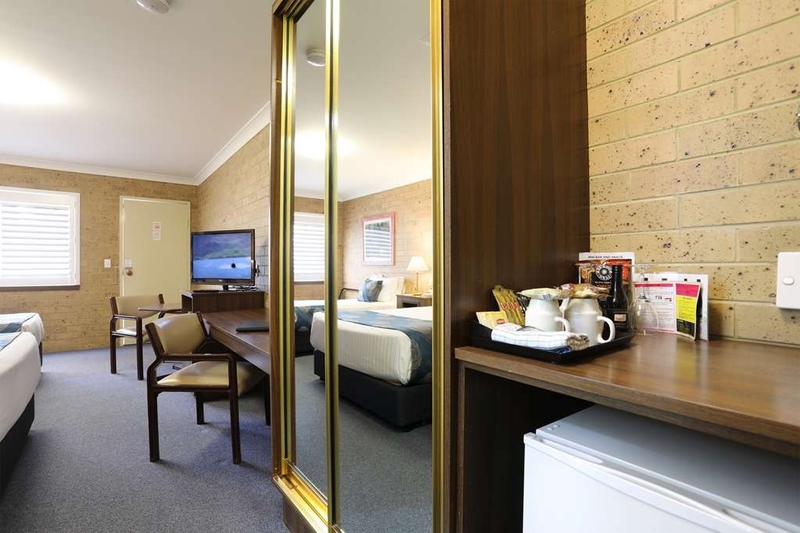 "Located Well and Fits The Bill"
Good sized rooms all on the ground-floor are somewhat dated but meet all requirements with queen beds, complimentary Wi-Fi and extra-wide car parking spaces (aimed at travellers including light trucks and trailer parking. The licensed on-site restaurant is handy but not open on the Sunday night visited but is available also for breakfast. Breakfast and a limited range of meals can be delivered to your room. There are also several take-away outlets nearby. 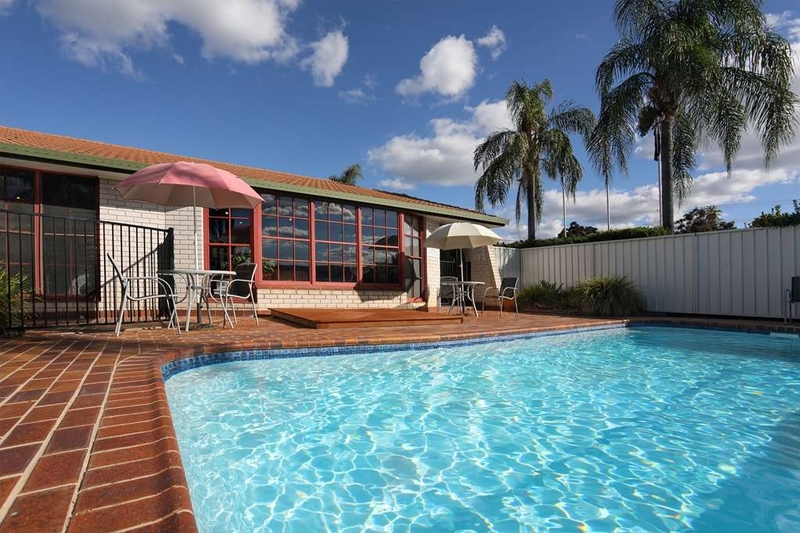 An outdoor pool is available and rooms at the back of the motel are well insulated from the busy main road.All in all a good average standard motel at reasonable value but not budget. 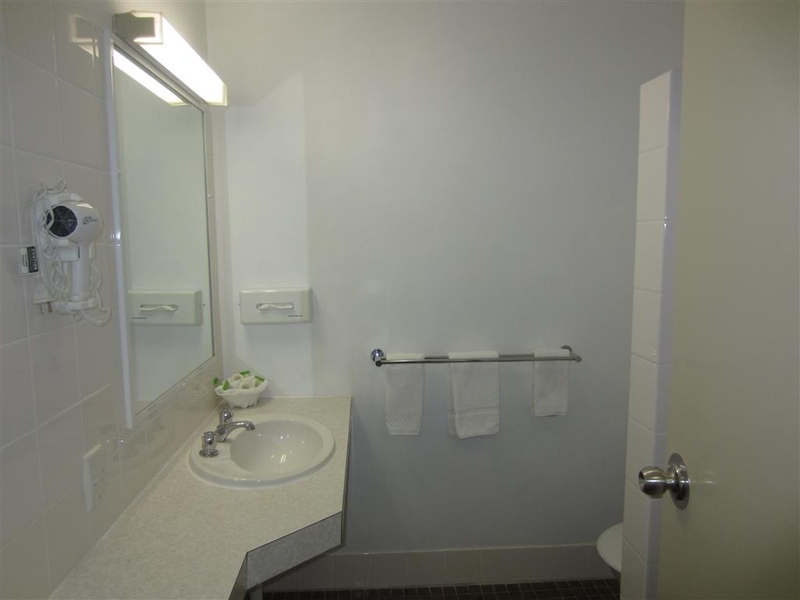 Motel is well located, has on site restaurant, a little dated but overall in provided a clean and restful stay. Service was friendly and helpful, with wi fi available and generally all you need was provided. 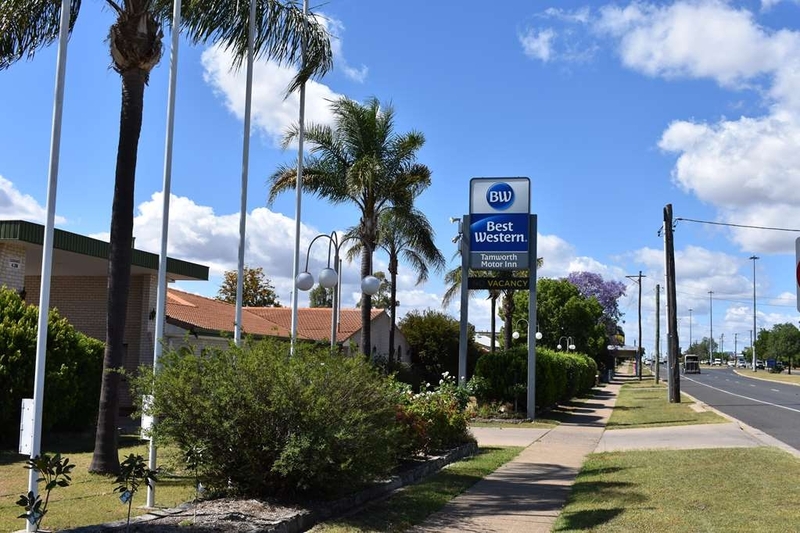 "Old style motel with terrific floor plan"
Virtually across the road from Best Western Tamworth Motel is the newer Best Western Plus, which has higher prices. We were really pleased we had chosen the older property for a two night stay because we found the layout really good. A central corridor has rooms on either side. Rooms have a door to the corridor as well as a door to the outside, where cars are parked. The corridor is used for deliveries of breakfast, cleaning etc. Very sensible. 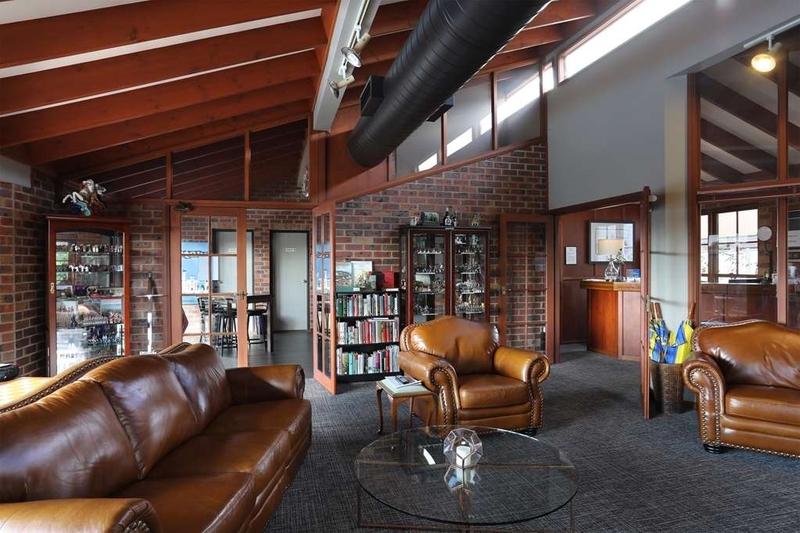 Solid brick walls ensure no noise is heard from adjoining rooms. The rooms themselves are spacious and well planned. I loved the long bench in the bathroom, and the large fluffy towels. Our beds were comfortable, too. 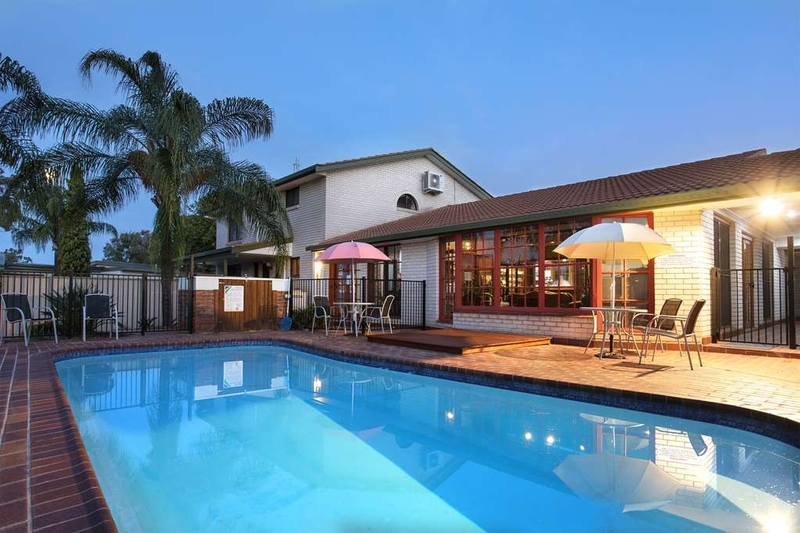 The pool is positioned close to the office at the front, so well away from rooms. New owner, Peter, told me he plans to establish a guest sitting area near the pool, to encourage guests to mingle and enjoy the lovely gardens. We generally choose accommodation close to the main street of the town we are visiting. There must be some motels in the CBD of Tamworth, but most appear to be well outside the town. Many are on Goonoo Goonoo Road - (pronounced Gunna Ganoo Road!!!) This busy road is on the far side of a flood plain that separates the town from the road, so you cannot walk into town. However there are two routes with bridges into Peel Street, where the restaurants and shops are located. At approximately $120 a night, we though the motel was good value and would stay there again if in the region. "A great place to stay - highly recommend." This was a terrific place to stay and would definitely come back. The owner/manager was so helpful and friendly, the rooms were immaculate (loved the towels and bed) and it had free wifi and plenty of tea/coffee/milk and biccies as complimentary. I would certainly recommend this as a place to come and stay. "Great clean motel, restaurant and staff"
My first stay at this motel, but from the moment you enter reception the staff (Peter) was very helpful. The motel is about a kilometre from the main CBD, but very quiet considering being on a main road. The room was very clean and has a great shower which I like when on a business trip. I dined in the restaurant that night. The food was very good, and they had a good selection of wine at very reasonable price. Plenty of parking. Interestingly, you enter your room from where you park, but there is an internal door leading to a hall through to the restaurant, which would be great in adverse weather. There are several Best Western motels in the Tamworth area, but the Tamworth Motor Inn was better priced. All in all, a great place to stay. Thanks to Peter and Marcelle for an amazing experience staying at your motel, the rooms were well maintained and the atmosphere was very pleasant and the overall stay was outstanding. There was ample parking for my trailer and the early breakfast request was no issue, thank you so much. 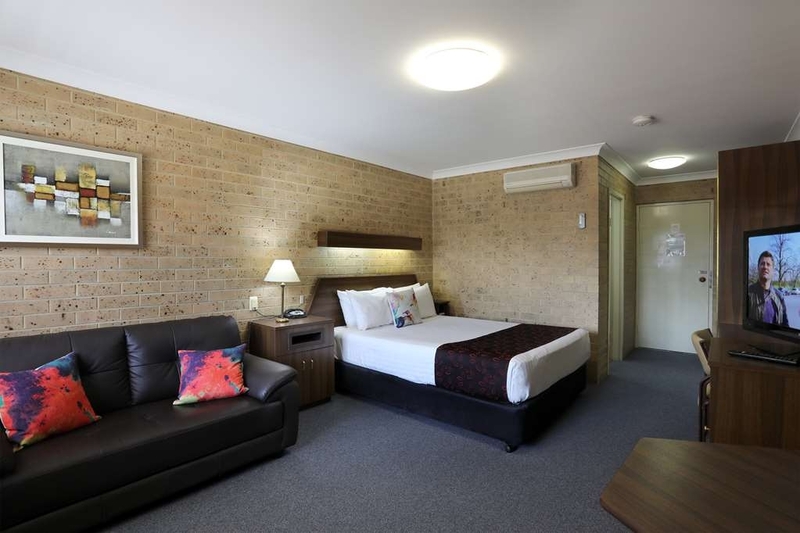 The room is great, it got air con, Foxtel, fridge with drinks other than just milk and very clean.The owner is very helpful as on what to see and what is happening around the area. very impress with this place. If you do stay here in the winter make sure when you get up and check your car first, the windows might freeze up over night and you might need to start your car's heater to melt the ice. Recently changed ownership & noticed a few changes on the menu all for the good with quite a few people opting to eat in the restaurant who weren't staying there. Service was good as was the food. Handy place to stay.